Options available include B&W Gooseneck Balls, Extenders, Eyelets, Kingpins, Helpers & Plugs. 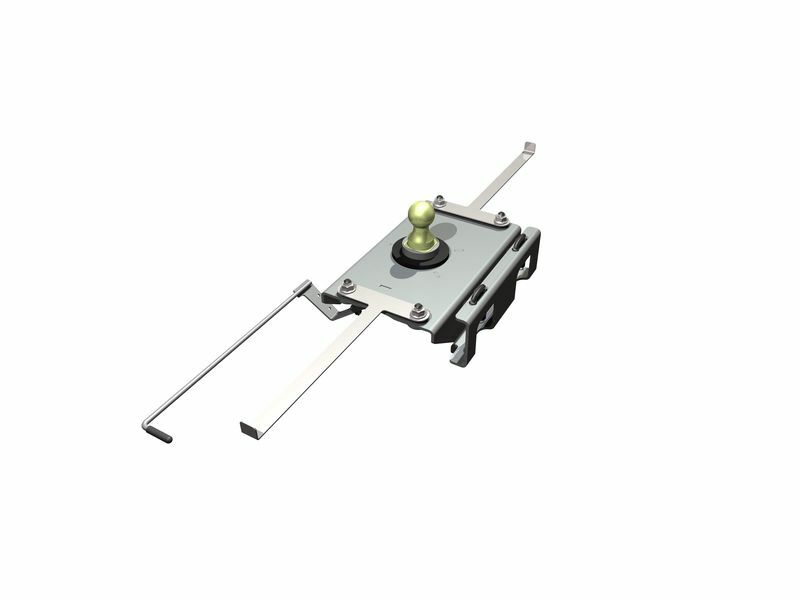 Depend on a B&W tunoverball goosenck hitch to get you and your trailer to your destination safely. Designed with the idea of "a hitch when you need it and a level bed when you don't" It doesn't get more simple then that. This B&W hitch converts to a level bed in seconds. Remove ball, turn it over, and drop it in the socket. There is a flexible latch pin handle attached to a spring loaded, 5/8" steel locking pin that goes completely through the ball. With a standard ball this hitch is rated at 30,000 lb. GTW and 7,500 lb. tongue weight. If you want your full truck bed when you aren't pulling your trailer, simple turnover the ball and get back to work. There is no substitute for an American made B&W hitch. B&W turnoverball gooseneck hitches come with a solid machined 2 5/16" ball. The frame is finished in a durable powder-coat and bolts to existing holes in the frame of your truck with no drilling or welding needed. Tow with confidence and remember to never exceed the tow capacity of your truck. Installing the B&W turnoverball gooseneck hitch is simple with no drilling on most models. If you have any questions please let our amazing customer know at 877-216-5446.